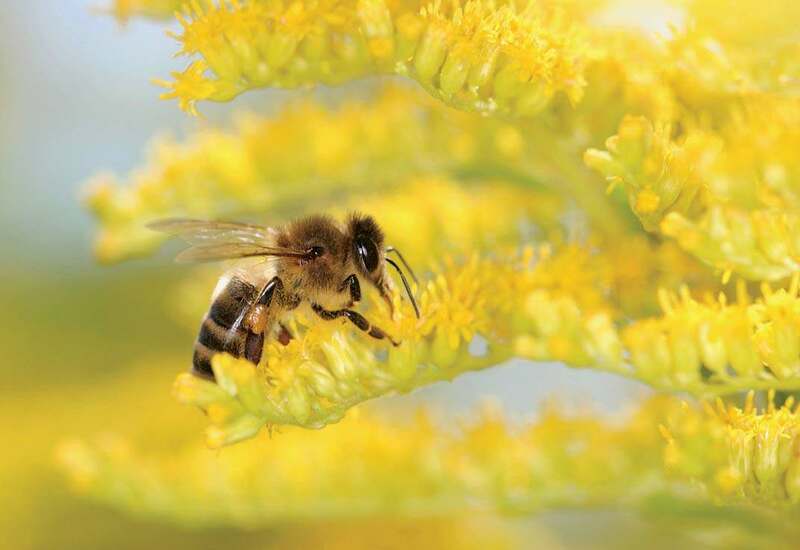 Generally speaking, the best times for bee hunting are when the bees are experiencing a definite honey flow, such as the milkweed flow or the goldenrod flow, for this means that it will not be hard to find bees on flowers. Bee hunting only works well, however, during the start or the end of a honey flow—that is, when nectar is available but is not super plentiful. The peak days of a honey flow are usually useless for a bee hunter because the rate at which a honeybee colony is taking in nectar has a strong effect on the motivation of its nectar foragers to recruit additional bees to their food sources…. This is true regardless of the source, be it a patch of flowers brimming with sweet nectar or a bee hunter’s comb loaded with sugar syrup. The bees’ disinclination to bring nest mates to a comb filled with sugar syrup during the peak of a honey flow is a serious problem for the bee hunter. After all, once you have found bees on flowers, have caught a dozen or so bees in your bee box, have baited them with a comb filled with sugar syrup, and have released these bees to fly home [suitably marked with dots of paint! ], what you desire most keenly to happen next is for some of your bees to reappear quickly at your comb. Even more, you want your baited bees to bring lots of their sisters to your comb, so that you will have plenty of bees to observe flying home from where you are launching your hunt [so the hunter can time their flights and mark their course]. If the honey flow is just starting up or is winding down, then the bees that you’ve trapped in your bee box were probably experiencing only mediocre foraging success before you captured them. If so, then they are likely to be sufficiently impressed with your sugar syrup to want to return for more and to share with their nest mates the news of your wonderful free lunch. Indeed, if the bees are receiving only vanishingly small nectar rewards from the flowers, and the weather is delightful, then you could soon have dozens of bees mobbing your comb.